The power of its chop makes the Heavy Duty Bolo Machete a valuable tool for the survivalist. Its slightly bulging shape creates the perfect balance in weight and strength, allowing it to easily tear through crops and forest vegetation. 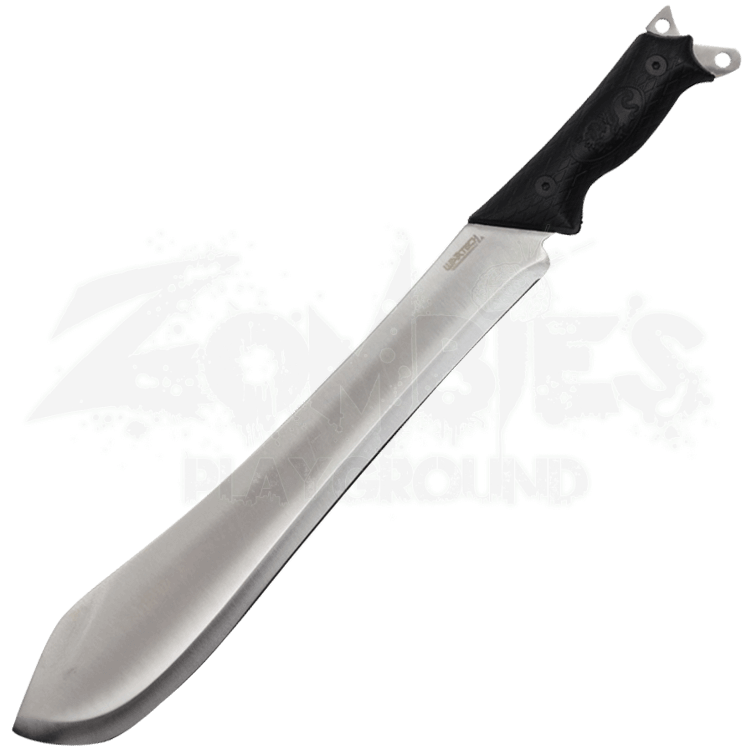 Crafted from stainless steel, this bolo machete is slightly thicker than the traditional machete. Textured black ABS plastic covers the grip of the full tang blade. Two lanyard holes appear at the pointed tips of the tang. No matter where the outdoor adventure leads, the survivalist is sure to make good use of the Heavy Duty Bolo Machete.